Our Mobile Notary Public has been serving the Boston and Merrimack Valley in Massachusetts for over a decade. From the beginning, our vision has always been to create the most reliable mobile notary service, from hospital notary, and other traveling notary services so we can attend to every single client without delay and often the same day! 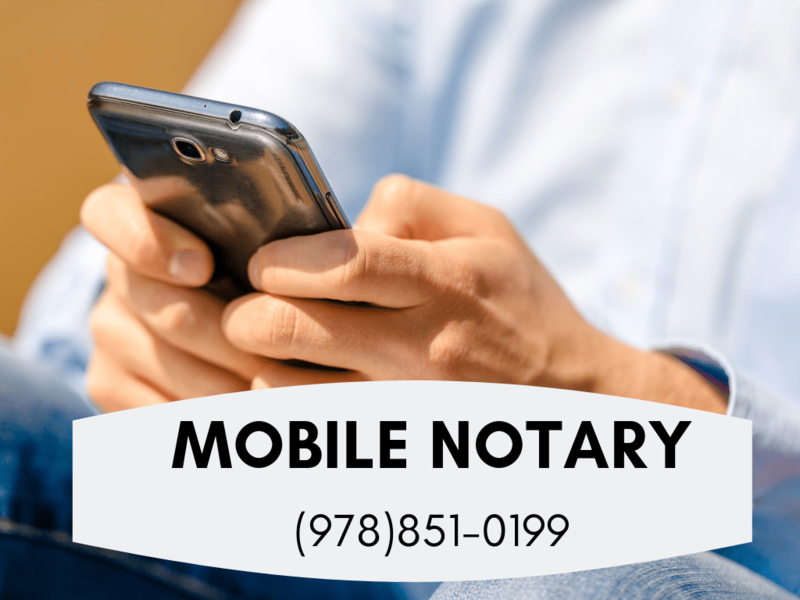 When you’re in a rush to get your legal documents or financial documents notarized, you can rely on the service of our mobile notary to come to you where you want and when you want within our service area. This is a great service! having a notary come to you after hours and weekends is a great convenience and a fair price to pay to get the last minute mortgage documents notarized. I highly recommend this notary service for busy folks and others who cannot travel to a notary office.